The occurrence of infertility in the male has been associated with several factors and also due to environmental and psychological pressure on couples, this issue leaves husband and wife in a socially difficult situation. After sometimes, the couple can completely break through with social life. These factors associated with sperm, which prevent a person from being a father, can usually be genetic or congenital, it can also occur because of various trauma or illnesses that can later arise. The problems that affect men can be identified by making use of a simple sperm test known as spermiogram. Some of these problems can be solved by drug treatments or standard IVF treatments. But for problems like azospermia, sperm donation remains the best option for couples. Cyprus Sperm donation involves the IVF treatment where there is no healthy sperm cell taken from the father, the sperm cells which are used are obtained from the sperm bank which is selected according to the father's physical characteristics, structure, ethnic origin, and blood type, while the eggs which are collected from the mother are fertilized and transferred to the mother. 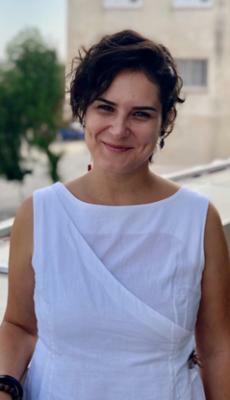 For so many years, the preferred method is the Cyprus sperm donation treatment performed Dr. Firdevs and our Cyprus Miracle IVF Centre, in cases where healthy sperm cells are not available; it can be difficult to obtained sperm from the TeSA or micro-TESE operations by making use of the needle or tissue retrieval. However, in cases where the father has failed to produce sperm from birth or is completely reset of sperm as a result of illness or external factors, it can be difficult to obtain sperm because of damages to the testicles and sperm donation treatment are recommended for couples in the event that they want to have a baby. Presently, identifying serious genetic diseases in the womb of the mother and getting rid of pregnancy seems possible; this situation becomes a very serious trauma for couples. Therefore, apart from the above reasons, individually; the man that carries the possibility of a risky disease which can be transmitted to the newborn or genetically inbred problems is recommended for this treatment. As a result of this, couples should rest assured as regards the health of their babies. The sperm donation treatment process kicks off with comprehensive tests required by the couples that will undergo treatment in our Miracle IVF by Dr. Firdevs and continues with getting the physical properties of hair color, eye color, body structure, blood type, etc. from father. What follows this is the sperm donor selection process which is done by taking required information. This information can be obtained by e-mail. 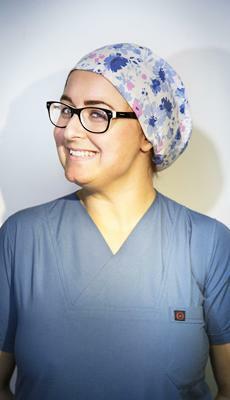 The preparation of the mother's follicles for treatment starts on the second or third day. This process of egg development can be done in a city in which a couple lives. At this point, mother's eggs are developed by making use of many injections. The period of injection can be about 10 to 12 days. These injections allow the development of follicles only during this period. They have no effect in terms of additional weight gain or disorders of the menstrual cycle. The process of egg development ends with a single injection which is referred to as trigger injection. The purpose of this injection is to prepare the developing eggs for the egg processing. At this stage of sperm donation treatment, about 36 hours after the triggering injection, all the created follicles are collected by our IVF specialist Gyn. Op. Dr. Firdevs Uğuz Tip. Since the egg donation process is carried out under a very low dose of anesthesia, the mother does not feel any pain or discomfort. This process takes only 10-15 minutes, depending on the number of eggs. After the procedure, the mother recovers immediately and continues her daily life within 1-2 hours without any discomfort. In the same egg collection hour, the best sperm cells were selected from the sperm sample which was obtained from the sperm bank for the couple by our embryologists under a special microscope. With selected sperm cells, the mature egg cells of the mother are fertilized by making use of the ICSI microinjection method. After fertilization, the embryos are allowed to grow in our special incubators for 3 to 5 days. Embryos can go through this process in an incubator or in an Embryoscope this depends on the choice of the couples. During this stage the Cyprus sperm donation treatment, according to the quality of embryos, embryos which are of the best quality will be transferred to the womb of the mother on the third or fifth day of the fertilization. The process of embryo transfer, followed by ultrasound does not involve pain meaning it is a painless process just like an ultrasound scan. This process only lasts for 5 to 10 minutes, and the mother is fully awake and follows the transfer of her baby into her womb. At the Cyprus Miracle IVF by Dr. Firdevs, we have the ability to transfer 3 embryos and thus enhance the chances of pregnancy. As a result of this, we provide a success rate of 80 to 85%, which is more than the world average. 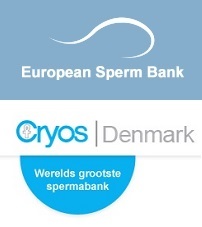 At our Cyprus sperm donation treatment, we work together with Cryos International Denmark, which is established in 1981 and since then it is known to be one of the largest and most trusted sperm banks in the world. Before the sperm samples are accepted by the bank, various and comprehensive tests are performed and as a result of this, genetic and infectious diseases are examined. Sperms that failed to pass such test are not accepted in the bank. This makes our patient be confident and they do not care about asking further questions. Sperm donors are also subjected to psychological and intelligence tests, which are discussed in detail by the sperm bank in physical and biological terms. The sperm of the donor that failed to pass the required level is certainly not accepted. As a result, the training levels and intelligence levels of sperm donors are high. As Miracle IVF Cyprus by Dr. Firdevs, it is clear to us that couples facing infertility problems are much more fragile and they usually keep their problems as a secret from friend and family members. As with any other treatment, for our patients who choose us for donation treatments, we ensure that the confidentiality of our patients are safe and kept above any other things. Our patients should expect 100% confidentiality from us. Since the treatment information is not saved, the identity information of both parties is completely confidential and third parties do not have access to them.